Our ultimate Crete travel guide for holidays up to -70% off To take advantage of these offers, join now for free! 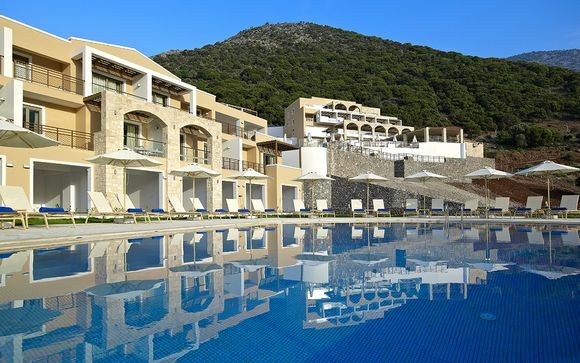 Discover the Best Information for unforgettable holidays to Crete. Advices, tips, best locations, itineraries and more. ✅ Find our free travel guide. Crete is the largest of all Greek islands and is located in the Mediterranean Sea between the Libyan Sea and the Sea of Crete. The island, which sits south of the Peloponnese, is approximately 260km long by 60km wide and has a population of about 650,000 people. This population is spread over four main prefectures: Chania, Rethimno, Lasithi and Heraklion. In Crete, tourists are not only treated to sun, sea and a lot of sand, but also warmth, vitality, culture, serene forests and hospitality. The sea and beaches make Crete a perfect summer travel destination but its contrasting landscape makes it unique from other Greek islands. Samaria is an awe-inspiring gorge in the southwestern region of Chania which will take the physically fit between five and seven hours to hike through and enjoy breathtaking sceneries, hills and valleys and wild animals. Between May and October is the best time for you to visit Samaria. An extensive plateau sits in the mountains in the centre of Lasithi. At the centre of this plateau lies archaic stone windmills that once provided power and pumped water to different parts of Lasithi. The area is largely agriculture-based and provides the large Lasithi prefecture with food. Most of the stone windmills are ruins; some of them have been renovated into beautiful private homes and some are still lying broken, exposing ancient architecture in Lasithi. These windmills still provide a great view of the white sails that dot the valley. 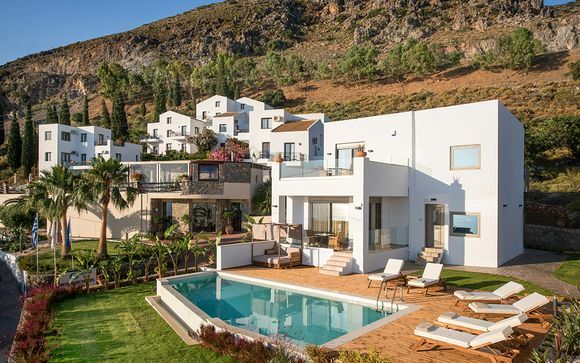 The beautiful and diverse landscapes of Crete include tall mountains that rise from the sea with the sea spectacularly visible from hundreds of viewpoints around the island. There are lush valleys extending beyond mountainsides supporting vineyards, olive trees, large fields of artichokes, lemon and orange orchards, and olive groves. Beyond these fields are beautiful beaches and gorges. There are also thick forests surrounding fields where exotic palm and cacti trees grow. Tourists can explore the ruins of the palace of Knossos which is by far the oldest structure in Crete and the most famous. The palace is followed closely in popularity by the Archaeological Museum, a large museum located in Heraklion, which houses wonderful treasures of ancient Cretans. Other great places to visit include the ruins of Phaistos, the palace of Mallia and Gortys. The whole island is dotted with treasures; there are lots of gems to enjoy including ruins of Gournia. The hidden gems are marked in brown on road signs allowing tourists to navigate the island with ease. Most of the big cities around Crete host world-class museums. The largest museums are in Chania, Heraklion and Rethymnon. However, tourists will also enjoy small museums in other parts of Crete, especially in small villages in Crete, showcasing Cretan art, history and culture. In small villages, you will see small signboards advertising ‘traditional houses’ or ‘folklores’. You should give these museums a try; they usually house fascinating artefacts. 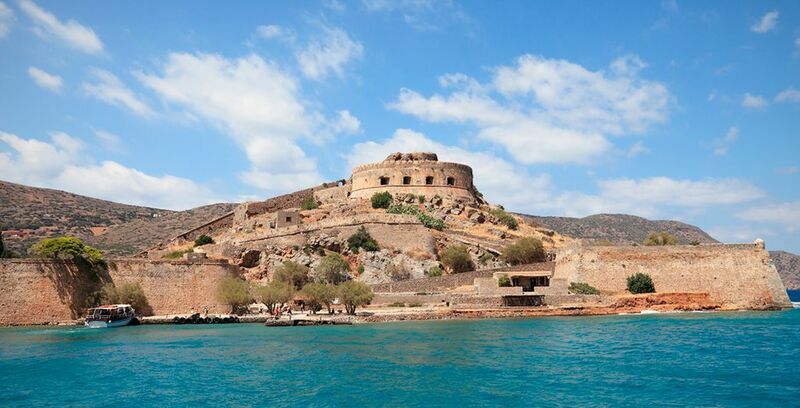 This fascinating island was once a Venetian fortress before it was invaded by the Turks and acted as an outpost in the latter days of the Ottoman Empire. By 1903, the island had been made a leper colony. It came to be famous after being featured in Victoria Hislop’s novel, The Island. A TV mini-series followed Hislop’s novel, making the island even more popular for tourists. In 1957, after a cure for leprosy was found, the island was abandoned. Today, tourists go to the island to enjoy the great architecture of traditional buildings and to learn the history of those who lived there. There are monasteries all over Crete. These monasteries are marked with brown road signs and they are open for visitors. Each monastery has a museum inside and a small church riddled with beautiful decorations and religious ornaments. 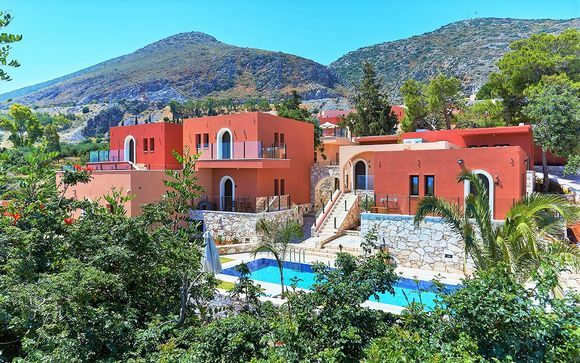 One of the most popular monasteries is St. George Selinari Monastery, which is located between Agios Nikolaos and Malia along the main National Road. There are more than 3,000 caves in Crete, including the south-western Crete cave, which is supposedly where St. Paul preached after he was washed into the island following a hurricane. The cave in Milatos is also popular and very accessible, especially for those who are not very physically fit. This cave, located in Milatos, Lasithi Province, bears so much Crete history. It is where Milato villagers hid from the Turks in 1823. The villagers dwelled in the cave for two weeks before most of them were killed or sold into slavery. It is said that the cave is still littered with the bones of those who were killed. There is a variety of festivals that take place in Crete all year round. During these, Cretans play the lyra, a three-string instrument that looks like a modified lyre, and the Cretan lute, which mirrors the oud and mandolin. Lyra sits on the thighs of the player and is played with a bow, just like a violin. You should look out for festivals in Cretan resorts and public places such as theatres. The island has countless beaches; some are small and secluded while others are long extensions of sand crowded with umbrellas. Tourists can visit these beaches for a few hours or camp on them. Along the beaches are coffee shops, called KreteKafeneion, that serve the best of Cretan coffee. January to March : Between January and March, Crete experiences winter. Flowers and trees start blossoming at this time and there are lots of citrus fruits. There are times when the sun comes out but not enough to allow you to enjoy the beaches. It is during this season that you can visit the museums and Knossos without being confronted by large crowds. March to April: The weather improves during these months. After the winter, the island is carpeted with green flowers and grass. The Greek Easter, which occurs during this season, gives tourists a chance to enjoy traditional Cretan hospitality. May to June: This is perhaps the best time to visit Crete; the sea is warmer, the weather is great and there are fewer tourists. The weather allows hiking, swimming and numerous other activities. There are still lots of flowers and the landscape looks beautiful. July to August: The weather is hot, sometimes too hot, there are so many tourists, and prices are exaggerated. During this season, you will be a number in the crowd, accommodation is not easy to find, monasteries and museums are crowded and you may not enjoy the scorching sun. However, this is the best time for swimming as the sea is fairly warm. September to December: The number of tourists in Crete reduces significantly during the latter months of the year. The weather cools down and the beaches are quieter. Tourists can fly to one of the three main airports; Nikos Kazantzakis in Heraklion, Daskalogiannis military airport at Chania and Sitia airport. There are daily flights from Athens but tourists can also use charter airlines from April until November. 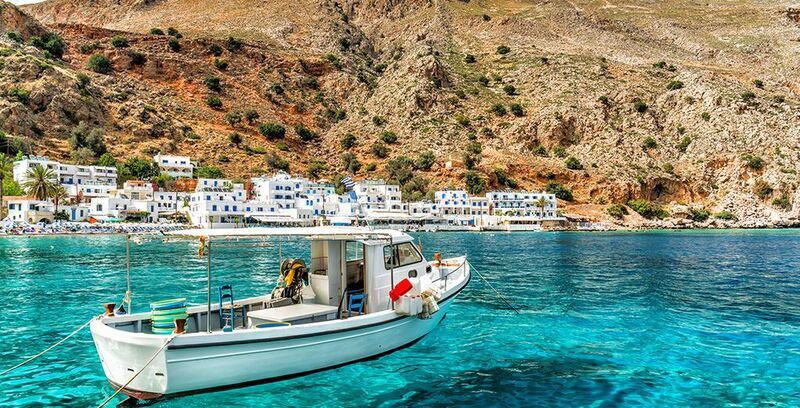 Tourists can also get to Crete by boat through the many ferry connections including Minoan lines to Heraklion, ANEK lines to Chania and LANE lines to Sitia and Ayios Nikolaos. You can get around the island easily by car. Note that Cretans drive on the right side of the road. You can also get around by bus or train. Public transport is available and tourists can check travel timetables when planning their exploration. Where there are no roads, such as on the southwest coast, there are ferries. Tourists can also get around on foot, especially in the countryside where there are good paths. You can get to Crete without a visa if you are an EU national. If you are not a citizen of a country that is a member of the European Union, you may need a visa. Visit your nearest Greek consulate to inquire. 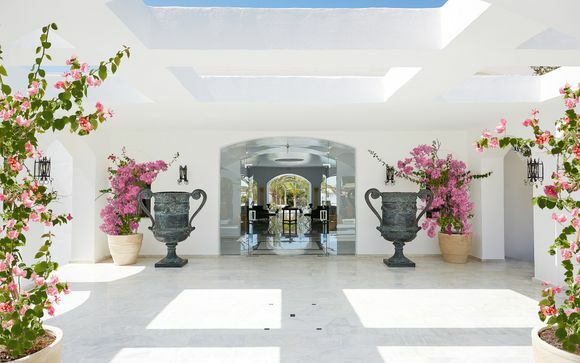 This is a 4-star hotel in Hersonissos, which offers Greek cuisine, serene outdoor spaces and luxurious living rooms. 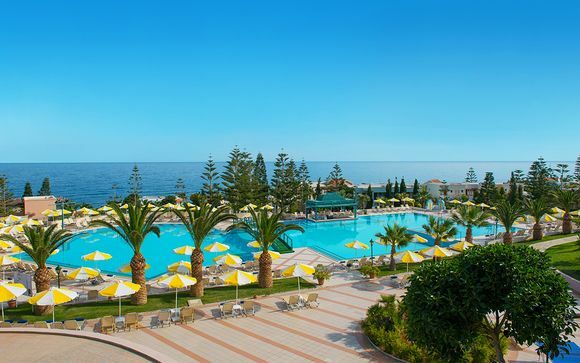 The 5-star resort is known for its great offers on food and accommodation. 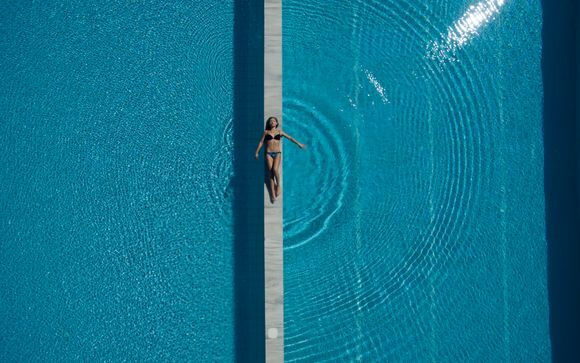 Tourists can enjoy the best of Cretan culture at this hotel. 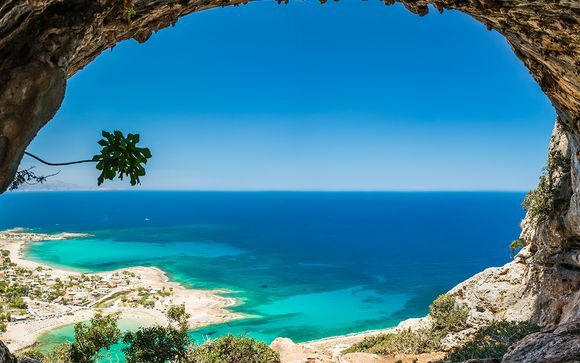 Besides the great scenery, culture and diverse activities, Crete also presents visitors with myth and imagination - this is the island where Theseus clipped the Minotaur, where Icarus and Daedulus fought and Zorba danced on the sand. Crete offers visitors a number of souvenirs to take home. Some of the most popular include olive oil, mountain herbal tea, traditional Cretan clothes, herbs, Cretan wine and ceramics. What currency is used in Crete? Crete, like the rest of Greece, is a member of the Eurozone, and accepts the Euro as currency. All major credit cards are widely accepted in Crete, although you may need to use cash in the smaller towns and villages. What is the time difference in Crete? Crete uses Eastern European Time and is two hours ahead of GMT. What languages are spoken in Crete? In Crete, people speak in Greek but most people can also speak English. Initially, people in Crete used to speak the language of the Minoans but the language has long been forgotten. Crete has a Mediterranean climate, so during summer you should only need to take shirts, shorts and summer dresses. Some parts of Crete, such as the monasteries and other religious sites, require modest dressing, so take a scarf that will help you cover yourself. 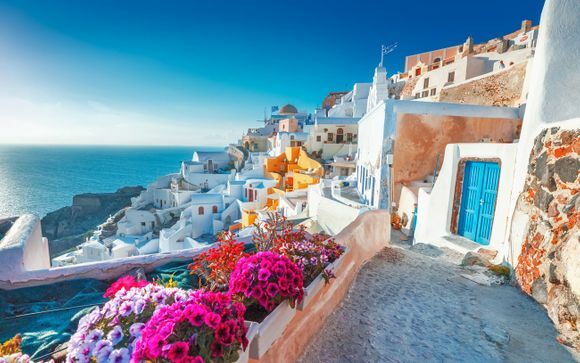 Carry a camera, mosquito repellant, slip-on water shoes, portable charger, Greece power adapter (type C, E & F), swimsuit and swimsuit cover-up, binoculars, flashlight and anything else you might need for your trip. Seeing the highlights of this great island will take about two weeks while exploring the island deeply will take about two months. You might need to drive long distances from one destination to another. Greece is famous for its Mediterranean cuisine; this is the same tasty cuisine served in most hotels and restaurants in Crete. The cuisine is made from fresh vegetables, fish, olive and olive oil and fruits. Meat is served at least once a week in most hotels. Cheese, honey and yoghurt and soups are also common. Cretans eat out late, with some leaving restaurants at around 11pm. As long as your pet has an EU certificate and a rabies certificate, it should be allowed into Crete. The pet needs to be microchipped and registered before getting into the country. However, you need to check with your airline and your hotel to ensure that they also allow pets. When touring Crete, you can save money by using public transport and hitchhiking. You can also travel in groups in organised trips as a way of saving money.